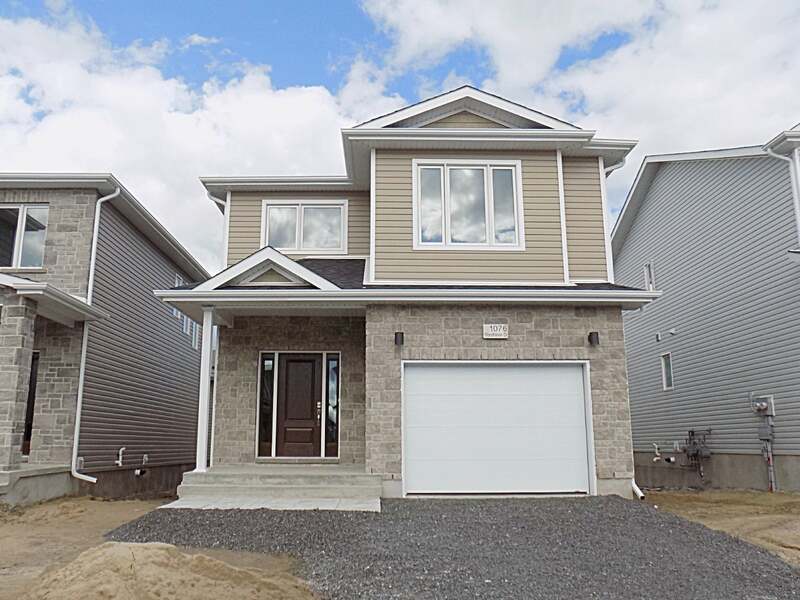 This brand new 2,075 sq/ft 'Chelsea IV' quality built by CaraCo in Woodhaven is sure to impress and ready to move in today! Featuring large front foyer, 9ft ceilings throughout the main level and laminate flooring through living areas. Open concept design with beautiful bright living room featuring vaulted ceiling and open to spacious kitchen with built-in over the range microwave, large island and walk-in pantry across from generous dining area. Convenient main floor laundry/mud room with access to attached garage. 4 spacious bedrooms up including master with walk-in closet and luxurious ensuite complete with separate tub and 5ft walk-in shower with tiled walls. Unspoiled basement is ready for your finishing touches complete with 3-piece rough-in for future bathroom. All this plus high efficiency furnace, HRV, on-demand hot water heating and more! Complete 7 year Tarion new home warranty. Lot fully sodded and driveway to be paved by the builder included! Available immediately, call to arrange a private viewing today! Lot Size 35 x 105 Sq. Ft.